Koschek Funeral Home was founded by Michael Koschek in Trenton, New Jersey in 1942. The operation of the business was put on hold shortly thereafter because of World War II. Michael opted to serve his country and was commissioned an Ensign in the United States Merchant Marines. In 1946 he resumed his funeral business at the corners of South Broad Street and Chestnut Avenue. In 1951 he opened the Roebling funeral home. This facility was designed as a one floor facility with all of the modern conveniences of its time. In 1966 he moved his Trenton office directly across the street to 990 S. Broad Street to a much larger funeral home. The second generation of the family involvement was started when Dorothy Koschek Porter, daughter of Michael became licensed in 1975. They worked together until Michael suddenly passed away in 1978. Shortly thereafter Donald L. Porter joined his wife Dorothy. In 1983 the business was renamed Koschek and Porter Funeral Directors, Inc. Also, during this time an extensive renovation project and living quarters were built above the Roebling funeral home. In 2004 the original Trenton business was consolidated with the Roebling facility. Our purpose is to ultimately provide a lasting and profound funeral service. We strive to treat our clientele with compassion, understanding and sensitivity. Dorothy and Donald Porter and their staff pride themselves in providing, thoughtful, considerate, attention before, during and after the funeral. 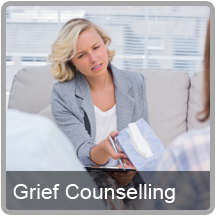 They understand the importance of planning and arranging a personal tribute according to an individual’s customs and religious convictions. Furthermore, they are committed to respect family special needs by offering customized funeral service options. Whether families select burial, cremation or a memorial service our funeral home is entrusted to honoring and celebrating the life of the deceased. Today, after almost 75 years later and two generations the funeral home remains to be family owned and operated by Dorothy and Donald Porter.